Congratulations to WSE Portugal, who has won the prestigious Five Star Award (Prémo Cinco Estrelas) for Language Schools in Portugal for the second consecutive year. 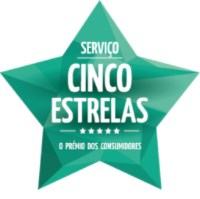 The Five Star Award is an independent prize given by Cinco Estrelas, a Portuguese consumer research agency. Companies that apply are subjected to the latest and most comprehensive testing methodology in the market, with their products and services being assessed by an evaluation committee, experimentation tests, and mass evaluation questionnaires. WSE Portugal repeated the success of 2016 by coming out top in the sector, beating competitors such as British Council, International House, Cambridge House, and Berlitz. Not only that but Darren’s team increased its overall score and got an amazing 97% instant (assisted) recall on the brand, up five points from 2016! By winning the award WSE Portugal can use the Five Star Award/Consumer Preference Status on all their materials this year, which will really help to consolidate their position in the Portuguese market. An additional boost comes from the consumer agency as it promotes the wining brands through TV/radio spots and online/direct marketing events. So, it’s well done to Darren Swan and his team in Portugal on this award. Special recognition and thanks goes to Joana Figueiredo, Marketing Director, and to Matthew Leaper, National Service Manager, who have relentlessly championed this project. We are delighted to inform you that Wall Street English has recently been recognized by two prestigious organizations in China. The Echo China Tencent Education Billboard, pioneered by QQ.com, identified WSE as the “Well-known Foreign Language Training Institution” during the 10th annual ceremony in Beijing. Under the theme of “Make a Smart Change, Reconstruct the Future”, renowned education experts, business and Internet-education leaders met at the event in December to discuss and share insights into the future of education. 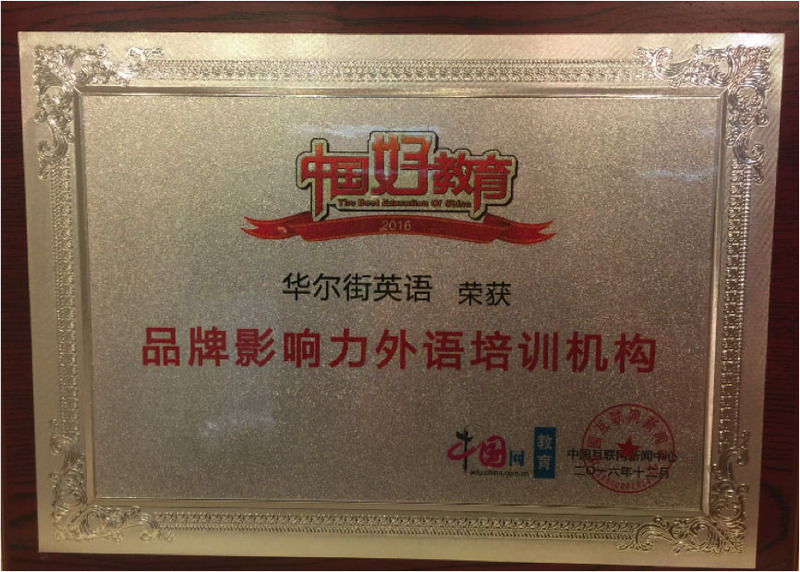 At another annual awards ceremony in Beijing, this time held by China Internet News Centre, WSE China was acclaimed “2016 Influential Foreign Language Institution”. The award ceremony, which initiated in 2012, focused on the role and responsibilities of educators and was attended by over 300 experts in the field, school principals, and teachers. There were 30 foreign language training institutions aiming for the top award and WSE was a clear winner. Congratulations to Paul Blackstone and the whole WSE China team for their ongoing work and drive for excellence.